Are you getting married? Congratulations! Planning a wedding is exciting – you’ve booked the venue, hired the band, and found the perfect rings. But there’s one essential step that might not have made your to-do list: See a family attorney as soon as possible. There are more than 2,000 divorces in Arizona every month, according to statistics from the Arizona Department of Health Services. Chances are, those couples didn’t think they would end up separating – but take it from an experienced divorce lawyer: It pays to think ahead. Or were given or inherited at any time. If you would like to draw up a prenuptial agreement before you get married, contact a family attorney from the Zachary Law Group, P.L.C. Steven Zachary has more than 25 years of legal experience and is considered among the National Trial Lawyers Top 100 Lawyers. Call 480-389-3533 to schedule a free case evaluation. You can also learn about the Arizona divorce laws by visiting USAttorneys.com. What Should (and Shouldn’t) Be in My Prenup? No one likes to think about getting a divorce – least of all while you are planning what should be the happiest day of your life. But a prenuptial agreement is in no way an acknowledgment that your marriage is not going to last; it is simply a process that allows you and your spouse to establish and ultimately protect what is rightfully yours. More and more engaged couples are realizing the benefits of putting a prenuptial agreement in place before they tie the knot. A 2013 survey showed that 63 percent of the 1,600 members of the American Academy of Matrimonial Lawyers reported a significant increase in prenups. There are cases when couples have found that their prenuptial agreements are invalid or legally unenforceable once they have decided to separate. It is crucial that you see an experienced family attorney who will help you draft an ironclad prenup. And executed by both parties before a notary public. 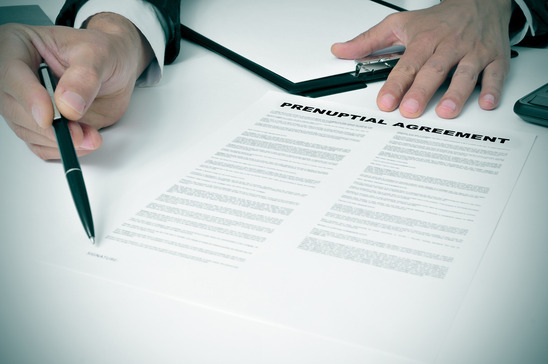 Drawing up a prenuptial agreement should be a quick and fuss-free process. Contact the Zachary Law Group, P.L.C. to get it right the first time. Steven Zachary is a Chandler family attorney who can answer your questions about child custody, prenuptial and postnuptial agreements, alimony and other aspects of family law. Unlike other divorce lawyers who charge by the hour, we offer flat-rate fees with no hidden costs. Call 480-389-3533 to schedule a free case evaluation.